The iPad Pro is amazing, but it can drive you crazy. A few of us here at Cult of Mac work on iPads pretty much exclusively. Apple’s tablet proves more than capable of “real” work, but that doesn’t mean it’s perfect. Far from it, in fact. The iPad Pro 2018 is a fantastic machine that invites you to use it for everything. But that only makes the frustration worse. Today I’d like to talk about what really drives me nuts about the iPad. I use the 12.9-inch iPad Pro as my main computer. My old Mac is nearly 9 years old (and still going strong), but I hardly touch it unless I have to. It’d be nice if I didn’t still need a Mac for making backups of my Photos library, or adding music to iTunes, and so on, but that’s not what today’s article is about. I’m addressing problems with the iPad itself. Writing. I’m writing this post on it. Music production: Recording guitar, mixing, all of it. If you want to do anything with a file, or selected text, on the iPad, you have to use the share arrow. It’s a primary interface element of iOS, and yet it’s slow to open (even on the 2018 iPad Pro), and it can’t be accessed from the keyboard. The iPad supports all kinds of hardware keyboards. Apple even makes the Smart Keyboard Folio case. iOS apps support all kinds of shortcuts. And yet you can’t share from the keyboard, and neither can you use the arrow keys, or type, to navigate the rows of icons in the share sheet. Imagine that the Mac didn’t let you save a file using ⌘S, and instead forced you to use the mouse. That’s how dumb this is. I love Slide Over and Split View on the iPad, but dragging an app up into Slide Over is absurd. First you have to track down an icon for the app. If it’s not in the Dock, then God help you. Then you have to drag it up to the side of the screen, wait for the animation to tell you if it’s going to enter Split View or Slide Over, and then drop it. And if you accidentally drop a Slide Over app onto an existing Split View app? It replaces it, forcing you to go find that original app and start over. This is unbelievably bad. It’s pretty clear that whoever designed this method doesn’t use an iPad much. I’m struggling to imagine a Mac equivalent that would be as bad. Perhaps if you were forced to drag an app’s icon over another Dock icon in order to create a new window? Without being allowed to turn off Dock magnification first? You can tell Safari to load the desktop version of a site (although you must do this manually every single time), but it still won’t work like a desktop browser. I don’t need browser extensions, but just showing pages properly would help. Have you ever tried to check in to a flight using an airline’s website instead of its app? Good luck. The only spellcheck on iOS is in-line. That is, you get a red dotted line beneath any word that’s not in the spelling dictionary. That’s fine, but it misses correctly spelled words used in the wrong context, and often it even misses misspellings. A Mac-like spellcheck would be great, with a popover window that flags grammar and spelling errors/doubts one by one, so you can review them. Don’t even get me started on this. Trying to select text on the iPad is like trying to tie a ribbon around a fish. You’ve almost selected the string of words you want, and then suddenly the selection flips to the entire paragraph. You zoom in to make a more accurate selection, and you can’t select more than one word. Or maybe you can. Who knows? Is there a full moon today? Perhaps it’s that? Copying a folder containing hundreds of files from iCloud Drive to a local folder only copied a few files. Which ones? Who knows? Three versions of the same PDF showed up in a search. Which is which? Where are they? Using the Info options helpfully informs me that one of them is “On My iPad.” Thanks! Drag a folder from a network-shared Mac into Files’ Favorites sidebar. Look again. It’s gone. These are just a few of the Files app nightmares. The stock iOS app also lacks a ton of features. Basic features like sorting with folders first in the list. Or being able to view two folders at once to make drag and drop easier. Or being able to stop the sidebar from hiding itself in portrait view. Or being able to edit the color of tags without a Mac. Or being able to choose which app opens your text files, or PDFs, by default. I really do love the iPad, but these frustrations are just lazy design, or lazy programming. And there’re plenty more where these came from. Like the way Spotlight cuts off the first letter of your search if you start typing before the Spotlight screen has finally appeared. Or the fact that the ⌘-Tab app switcher often just doesn’t appear on the first or even second tap, leaving you stranded in a different app than the one your brain has already moved to. 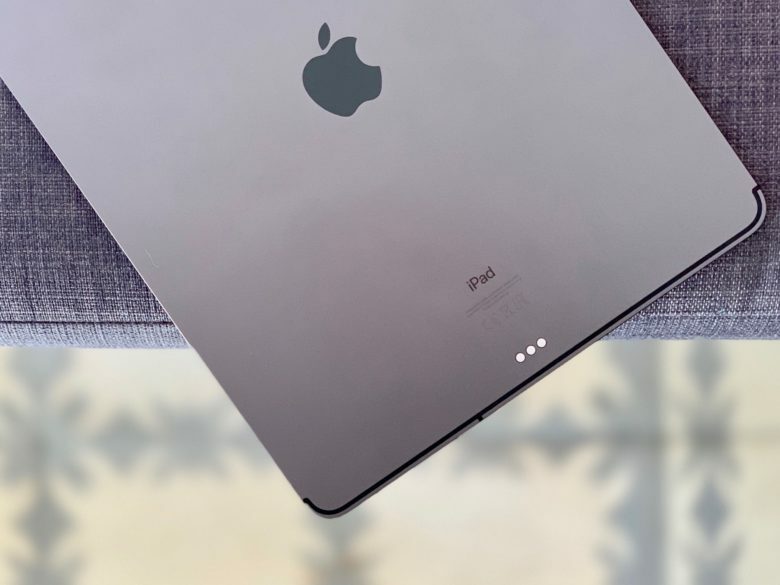 Some of these gripes seem small, but the beauty of the Mac is that all those small parts have been tended to over the years, and are so streamlined we don’t notice them. Fine, you say, but who cares if the ⌘-Tab switcher doesn’t work? iOS is a touch-based operating system, after all. I’ll tell you who: Apple. Apple cared enough to bring all kinds of keyboard shortcuts familiar to Mac users over to the iPad, and yet it apparently doesn’t care enough to make sure they work properly. The iPad turns 9 this year, and in many respects it remains nothing more than a big iPhone. And that’s a pretty embarrassing situation.